Tirath Ram Shah Hospital is a 200 bedded multi specialty hospital which provides a huge range of comprehensive health care services. It is the best Pediatric Surgery Hospital in Tis Hazari. The hospital was established in 1955 by Dr. Rajendra Prasad, the First President of India. The hospital is known to provide the highest standards of patient care and is backed up by a team of talented medical professionals. Tirath Ram Shah Hospital is the best General Surgery Hospital in Tis Hazari. Some of the specialties provided by the hospital are Gynecology, Pediatric & Neonatology, Orthopedic, General Medicine, General Surgery, Urology, ENT, Dental, Dermatology, Cardiology, Neurology, Nephrology, Gastroenterology, Psychiatry and Anesthesiology. Tirath Ram Shah Hospital is the best Plastic Surgery Hospital in Tis Hazari. The hospital is one of the well known public hospitals in Delhi. 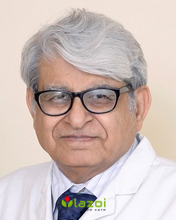 It is the best Spine Surgery Hospital in Tis Hazari. The hospital is backed up with a vision to offer the best in patient care and equipped with technologically advanced healthcare facilities. Main aim of the hospital is to provide the best in patient care and it is equipped with technologically advanced healthcare facilities. Tirath Ram Shah Hospital is the best Dental Hospital in Tis Hazari. The hospital is equipped with complete set of laparoscope with 3D camera & monitor, craniotome for emergency craniotomy, advance drilling equipment for orthopedic surgery, all varieties of uro-endoscope etc. It is the best Heart Treatment Hospital in Tis Hazari. A team of well-trained medical staff, non-medical staff and experienced clinical technicians work round-the-clock to offer various services. 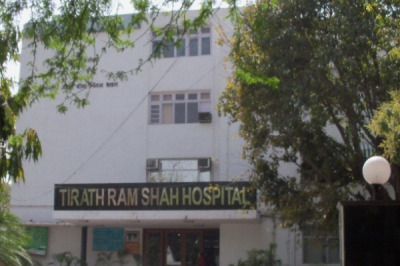 Tirath Ram Shah Hospital is the best Kidney Transplant Hospital in Tis Hazari. 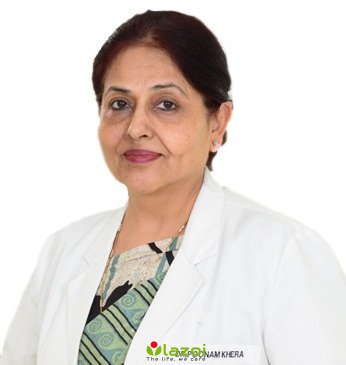 You can book an online appointment with doctors available at Tirath Ram Shah Hospital in Tis Hazari on www.Lazoi.com. Very good health services provided by Tirath Ram Shah Hospital. Good experience. I would recommend this hospital to everyone. Doctors are so professional. Good experience with Tirath Ram Shah Hospital. it is quite old too. It also runs charitable Opd where one can consult with doctor in just 50rs fees which otherwise would take 500-600 rs to consult. Tirathram shah is a good hospital. I was satisfied with the treatment done to me. But sometimes they charges useless but a mediocre level it's a nice hospital. Gave me Back my life.. I had almost lost my leg.. where everyone said no chance.. they gave my leg back with 0% defect or complications.. Really would recommend Tirath Ram Shah Hospital to everyone. Tirath Ram Shah Hospital hospital with good experience. It also runs charitable Opd where one can consult with doctor in just 50rs fees which otherwise would take 500-600 rs to consult.